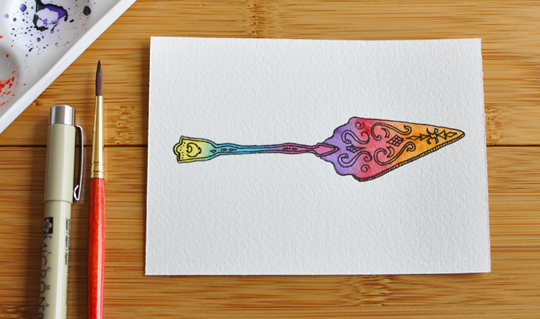 Today's creative thing: An old-fashioned cake server. Years ago, my grandmother gave me one of her silver cake servers. We use it all the time around here. (Mmm, cake.) This morning, while I was fishing through the utensil drawer in the kitchen looking for something to paint today, it was the first thing that caught my eye. It is absolutely lovely! I'm not sure I will look at a cake server the same again.